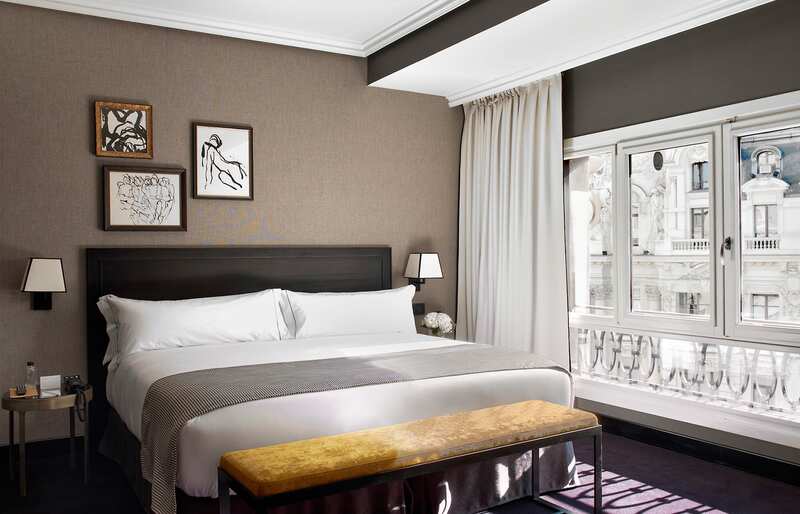 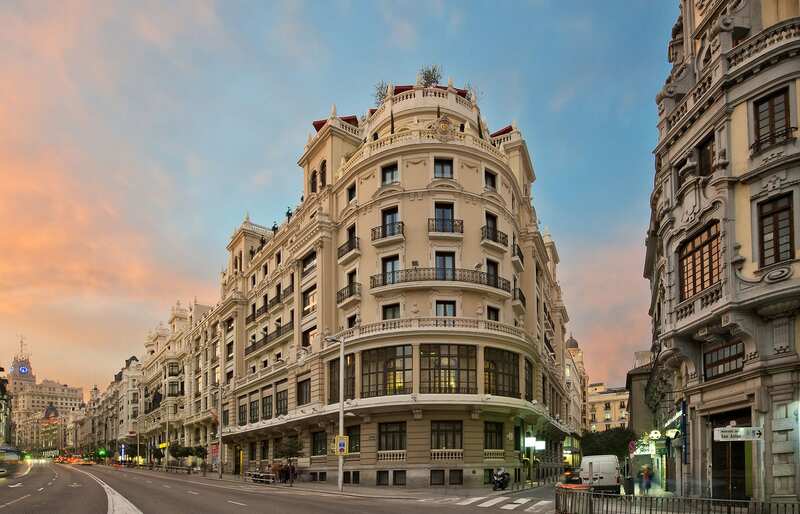 In a fine company of Art Nouveau façades in the heart of Gran Via, one of Madrit’s grand avenues, stands a 1917 Spanish Renaissance building of the Principal Madrid—a hotel that combines the grandeur of a private club and the relaxed elegance of a New York-style loft. 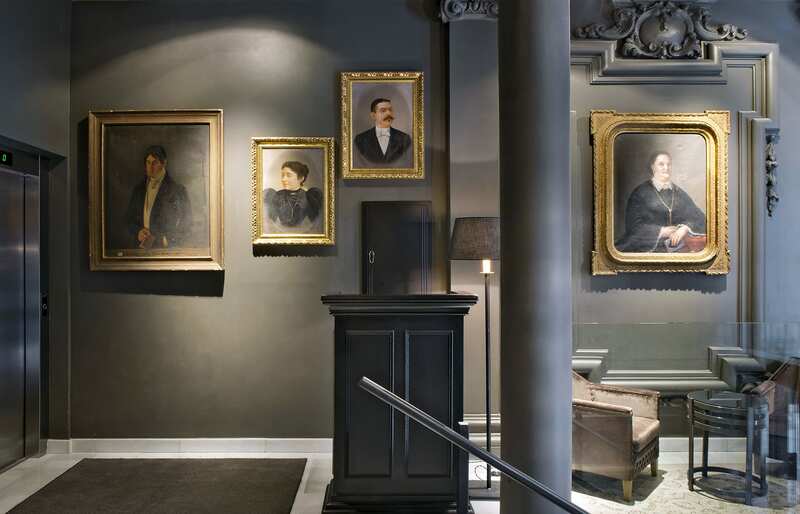 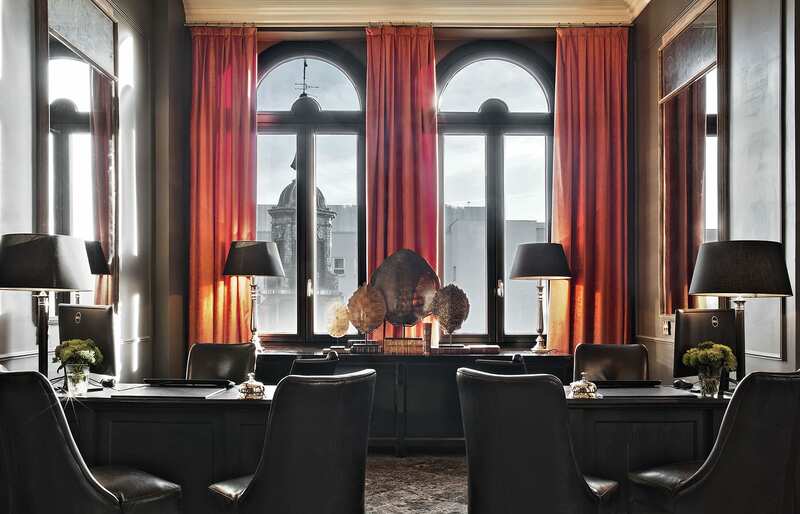 The Principal’s glamorous interiors celebrate the best address in town and the grand scale of the historic building. 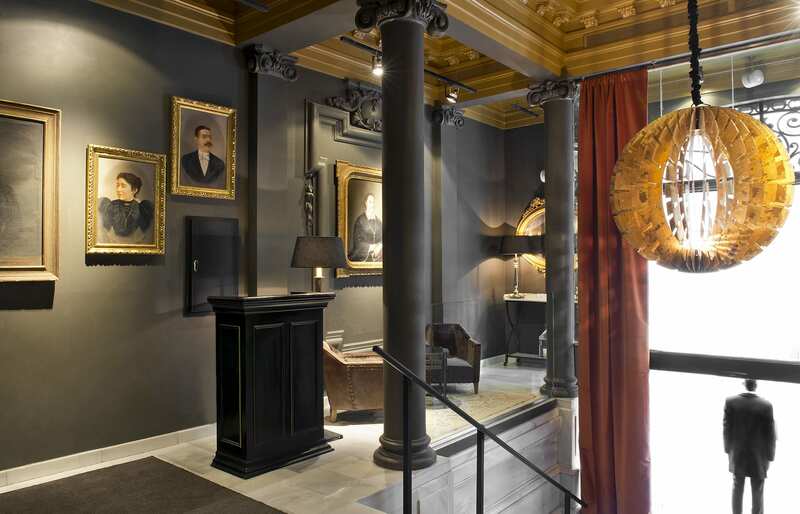 High ceilings, iron railings, large windows, and columns are a background to eclectic furnishings which embody a New York loft aesthetic. 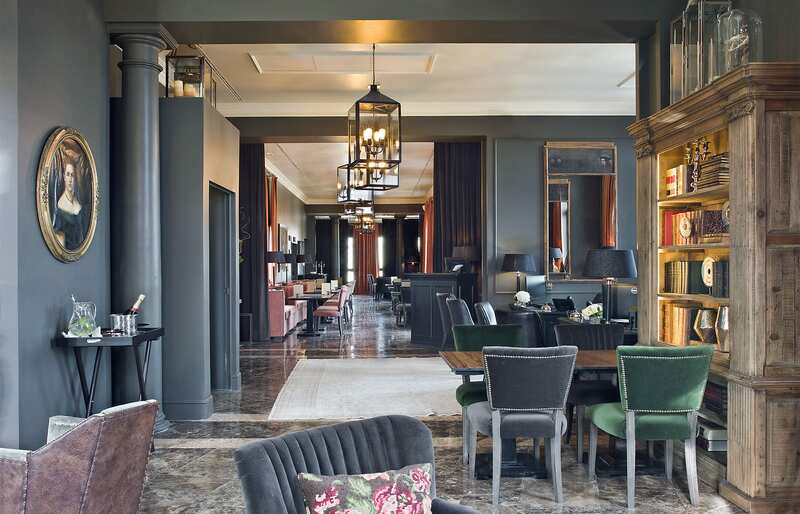 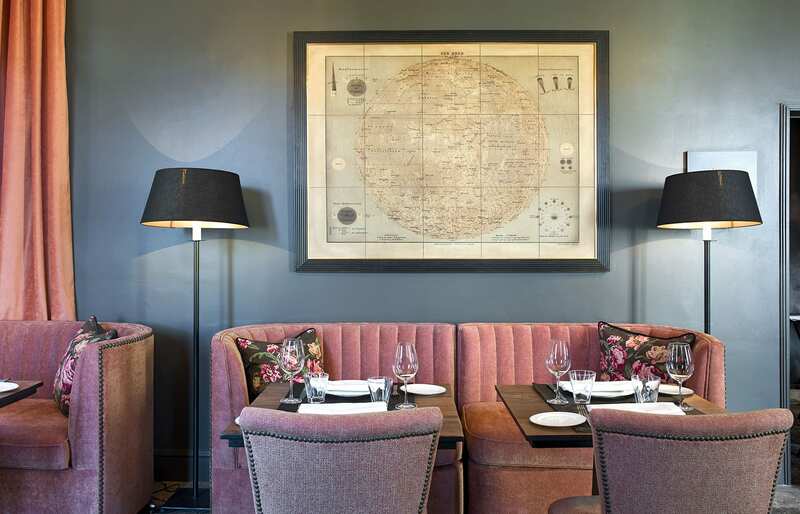 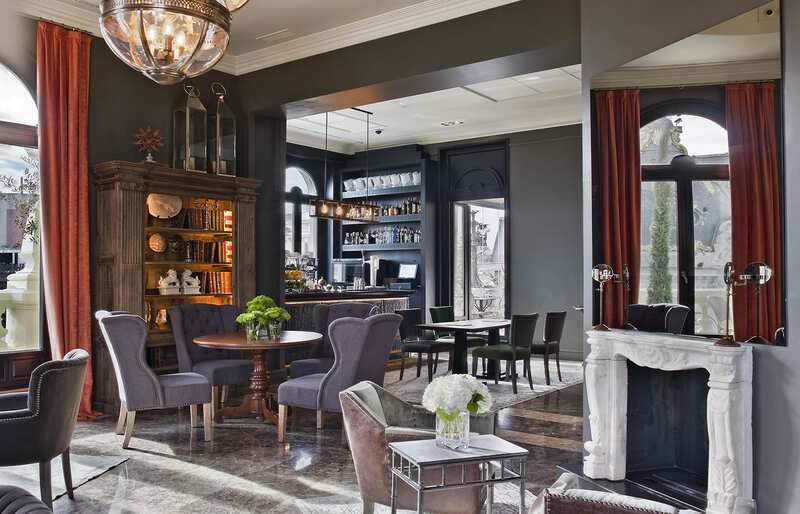 Fine materials, such as velvet, solid wood and marble, mid-century design furniture as well as vintage and some exotic touches all form a cohesive creative vision, contributing to an authentic atmosphere of at once a private home and a luxury hotel. 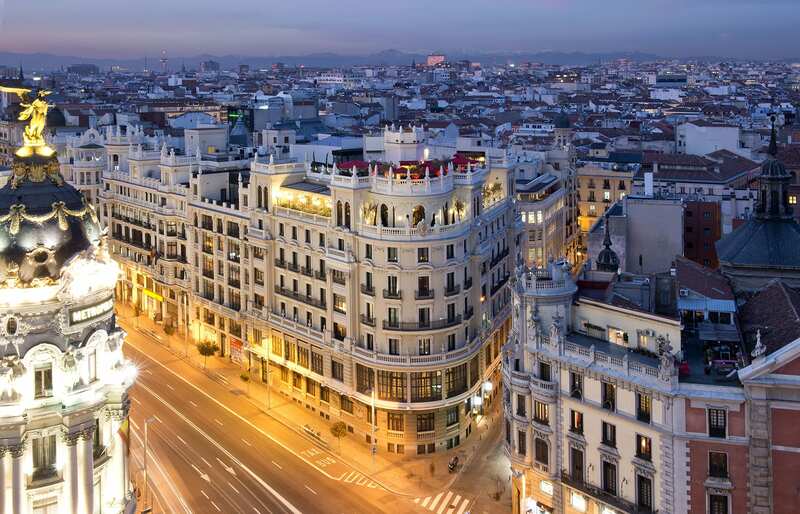 Gran Via is famous for being the home to great cocktail bars that are frequented by famous writers, artists, and celebrities. 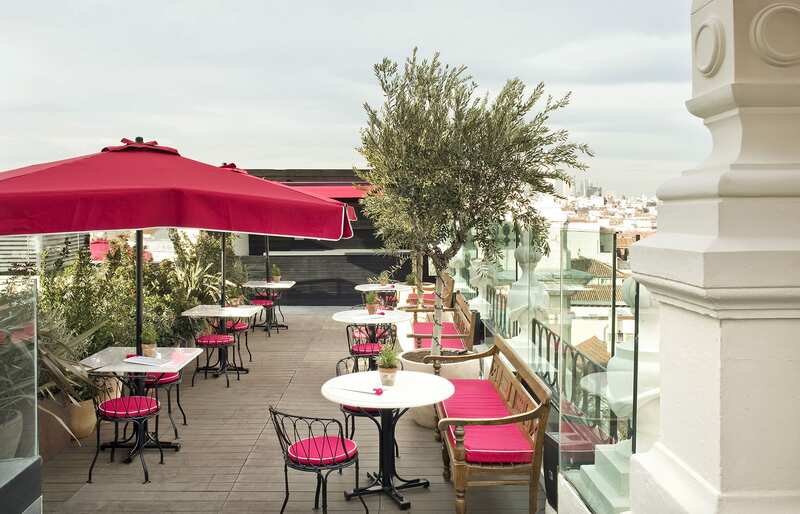 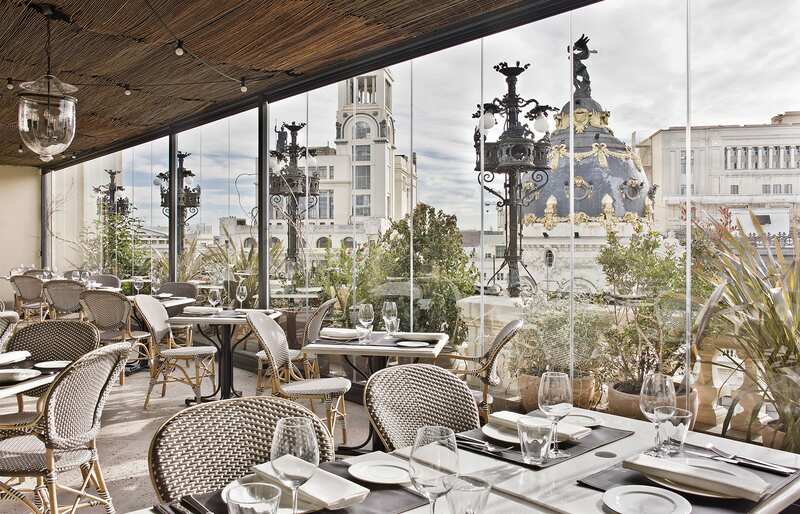 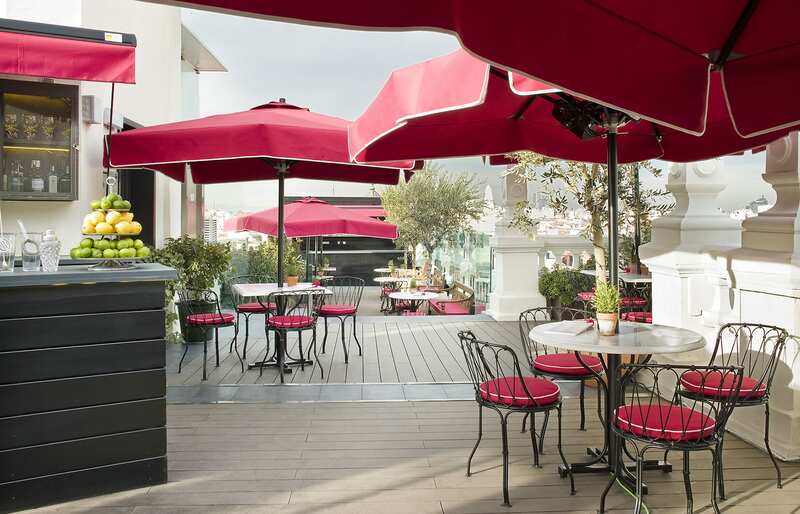 The bar at The Principal Madrid is a worthy addition, offering delicious cocktails thanks to the most up-to-date mixology techniques and peerlessly stunning vistas in town. 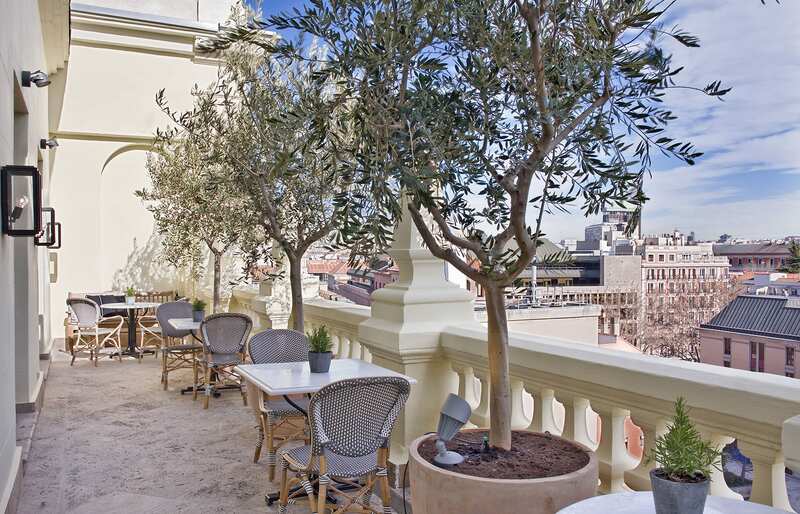 There is the Ático, spread over the top two floors—a sublime sanctuary, ideal for tea or delicious cocktails, for leisure or business. 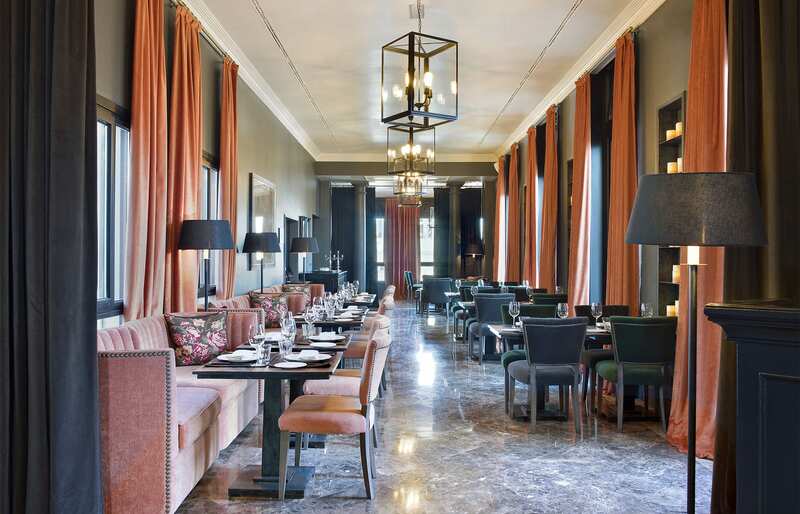 Gastronomy here is overseen by the renowned chef Ramón Freixa. 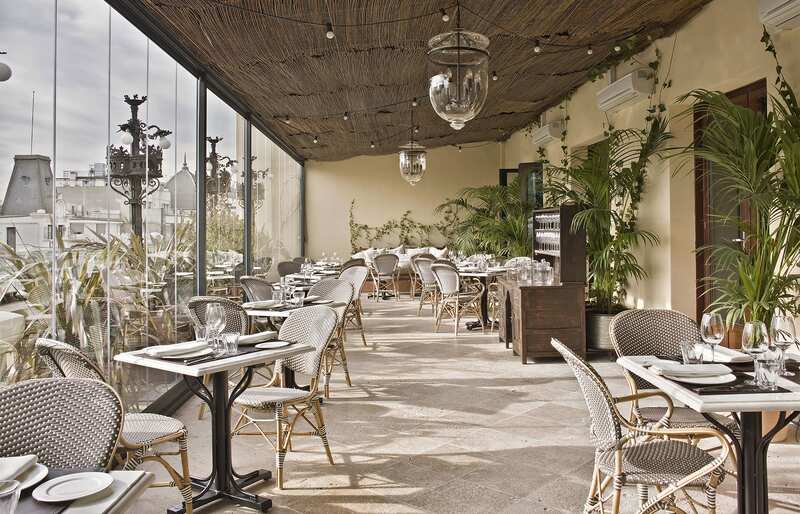 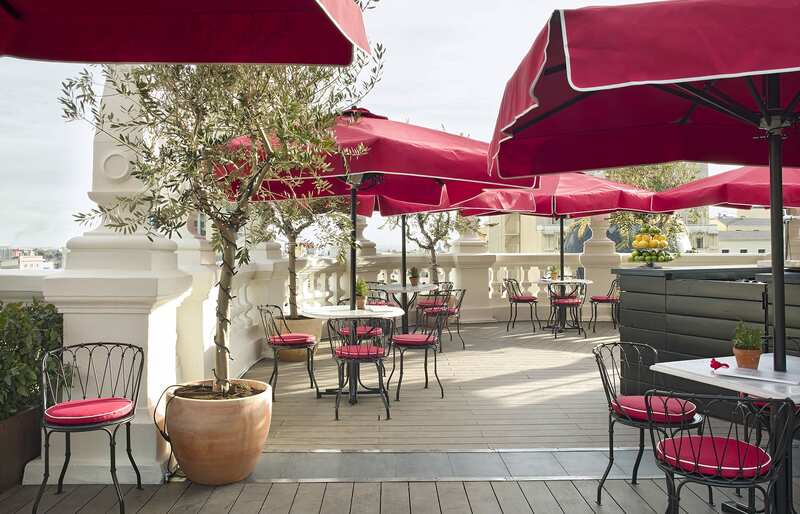 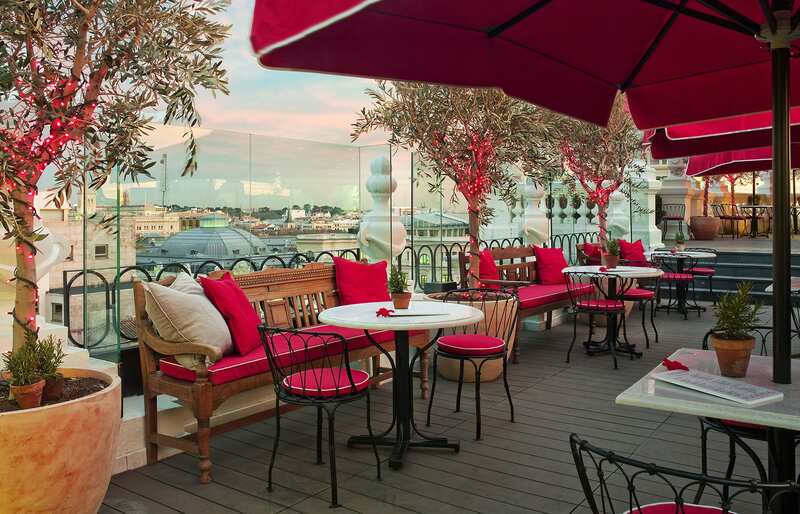 A rare inner-city perk, the all-year round La Terraza garden conservatory on the rooftop is lush with cypresses and olive trees, a fountain and an observation deck. 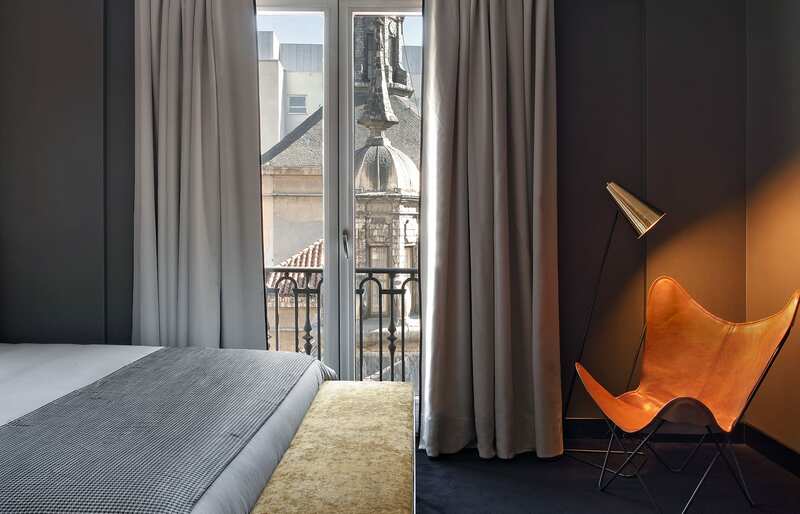 Review with contribution from Design Hotels™. 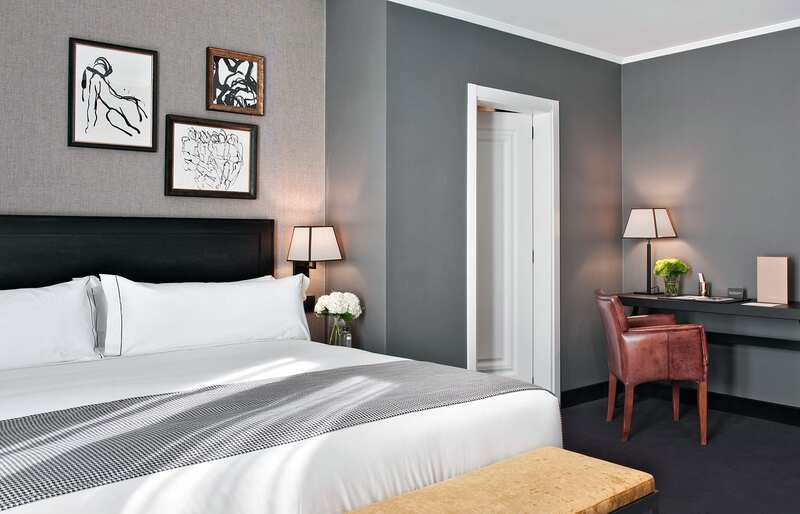 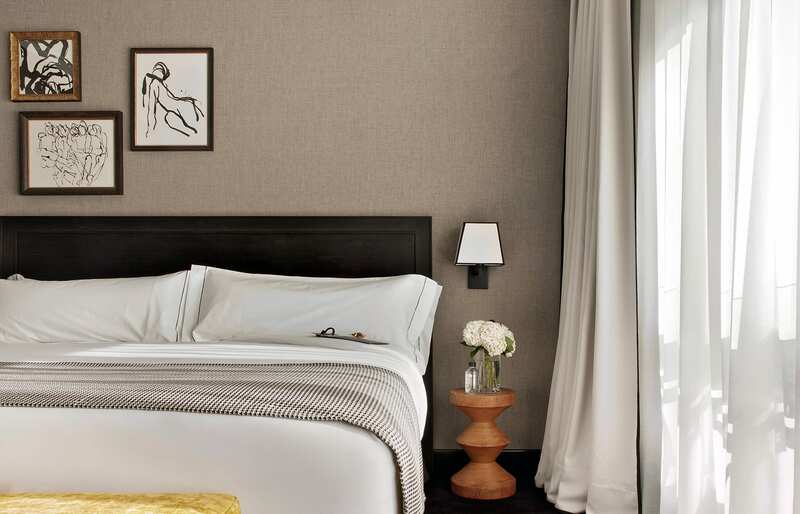 The sleek guest rooms follow the minimalistic brief. 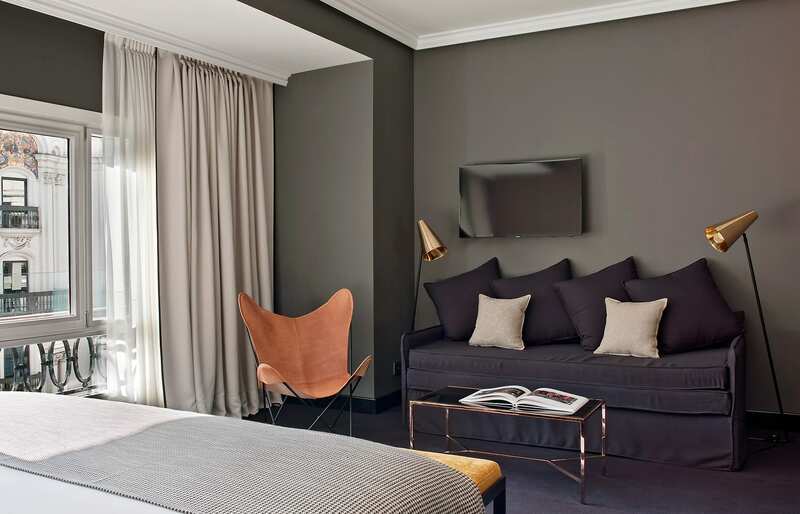 Sparsely decorated with statement furniture pieces and contemporary artworks by Albert Coma, they feature en-suite bathrooms and benefit from tall windows and period elements (e.g. 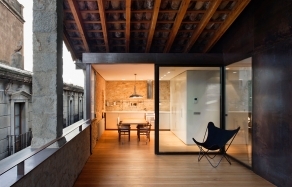 iron railings). 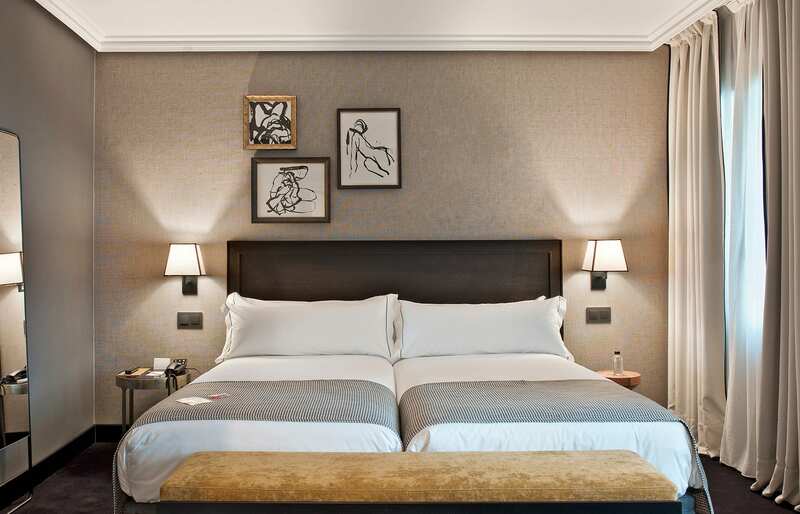 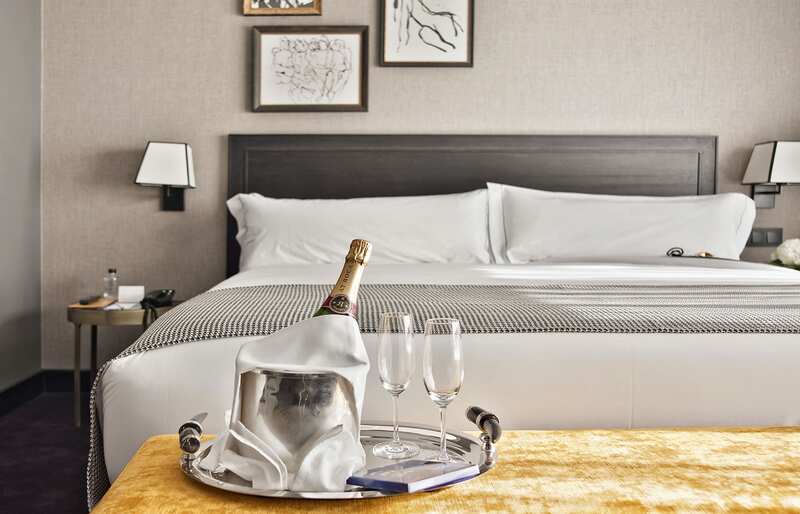 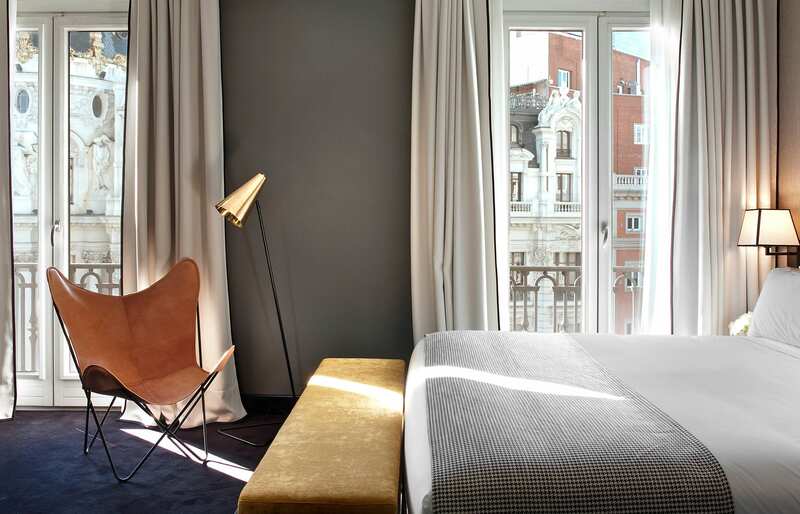 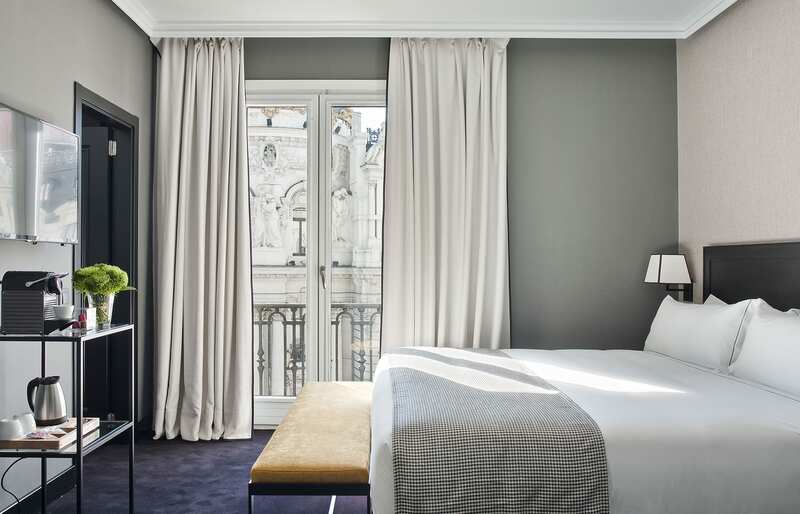 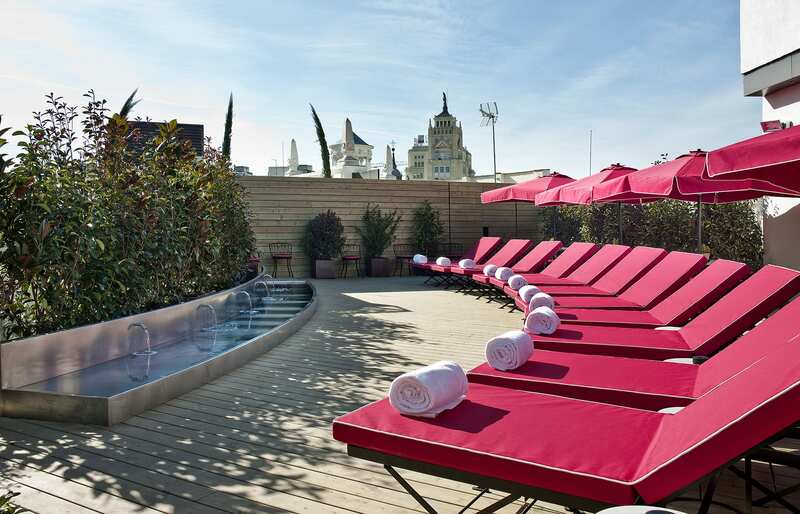 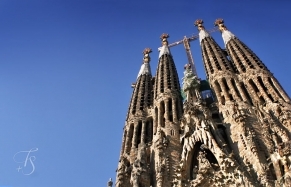 Located on the Gran Via, one of the Spanish capital's more affluent streets, the hotel is just minutes from Puerta del Sol, the Fine Arts Circle, Cibeles, and Puerta de Alcalá as well as the renowned museums (Prado, Reina Sofia, and Thyssen), important buildings, and parks. 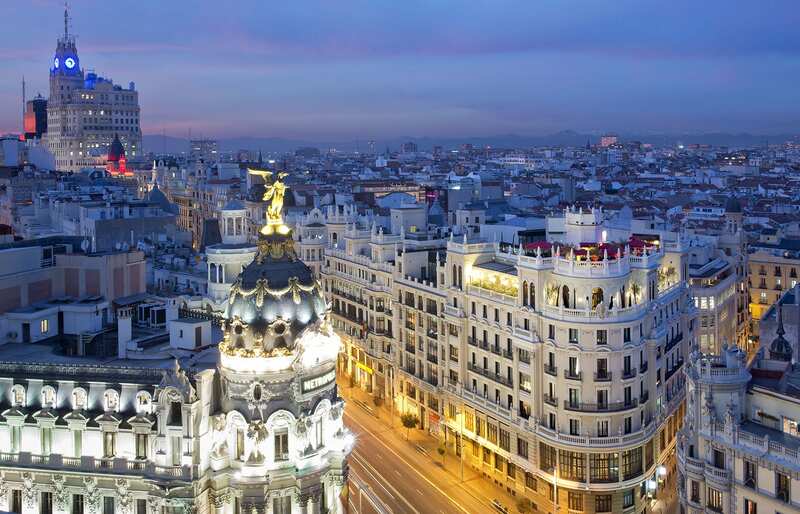 The Banco de España metro stop is just a 3-minute walk away and the Madrid-Barajas Airport is some 14 km from the hotel.